PS Vita doubles as "Ultimate Controller"
Sony has released details of cross-play offers which will allow users to play games on both PS3 and PS Vita at no additional cost. The cross-play feature works with the PS Vita launch games MotorStorm RC, Hustle Kings, Top Darts and WipEout 2048. For example, buyers of MotorStorm RC will be able to play it on Vita and PS3 without having to pay extra for the privilege. 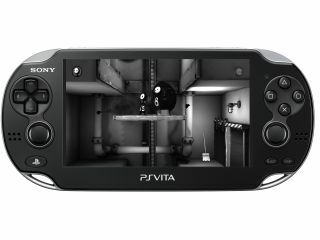 Gaming between PS3 and Vita users will also be available. Four tracks in WipEout 2048 will be available for PS3 owners to race against Vita owners. WipEout HD and HD Fury DLC for PS3 will also get a free Vita download when they launch in the spring. Ultimate Marvel vs Capcom 3 will give users the option of using the Vita as an 'Ultimate Controller', using the Vita as a controller for the PS3 game with the added bonus of touchscreen special move selection. "Those who already own any of these titles for their PS3 systems will be able to download this same content to their PS Vita systems for free, and vice versa," Sony said. "There is no need to pay for the same content twice, highlighting the importance of the relationship between PS3 and PS Vita. "But it is not only the ability to buy these games for one price and access them across both platforms that makes the relationship between PS3 and PS Vita so important." The PS Vita hits the shelves 22 February, for all the details you can read our full PS Vita review.